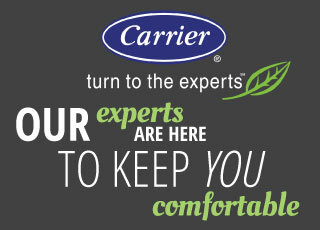 G&M heat pumps from Carrier provide uncompromising comfort all year round, while using electricity in place of natural gas. This makes heat pumps a popular choice for environmentally conscious customers and those looking to save money on their utility bills. Heat pumps are generally more energy efficient and offer a bunch of savings over time. G&M proudly offers a variety of systems to fit your budget and space needs. Our technicians handle the installation process with professionalism, relying on years of combined experience so every detail is right. As local leaders in the HVAC industry, our team knows all there is to know about heat pumps. They’ll help you pick the perfect model to meet your specific needs considering budget, heating demands, and more. G&M offers heat pumps from sources you can trust. Create the cozy home environment you desire without worrying about being taken advantage of in the process. Whether you are in Raleigh or the surrounding area, you can rely on G&M to provide the best service, products, and guidance for your heating and cooling needs. With the help of G&M, you can’t make a bad investment. 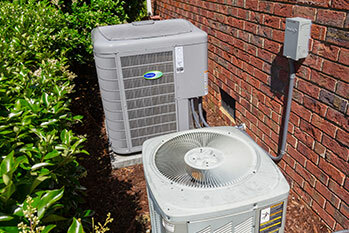 Our technicians will connect you with the highest-quality heating pumps and provide professional installation, repair, and maintenance information. Call us today at 919-772-8820 to learn more about the heat pumps and services we offer to keep your system running optimally.